A new satellite that measures and provides detailed carbon balance information is one of the most important new tools in carbon measurement since infrared light, believe researchers from the University of Copenhagen. The researchers expect the satellite to be a valuable tool for the UN’s work on climate change related to the Paris climate accord. Carbon balance is important for climate and environment because whenever carbon is converted into carbon dioxide, CO2 emissions increase. On the other hand, carbon is an essential aspect of life on Earth: a felled tree releases carbon into the atmosphere whereas a planted one takes up carbon in vegetation and soil. A lack of carbon in vegetation and soil can create a carbon imbalance and have climate-related consequences. University of Copenhagen researchers have tested a new French satellite that can measure carbon balance far more precisely than the current method, which uses aerial photography. The satellite uses low-frequency passive microwaves to measure the biomass of above ground vegetation. The studies have recently been published in Nature Ecology and Evolution. Image: The group of Danish researchers took an image of the African continent for seven years. 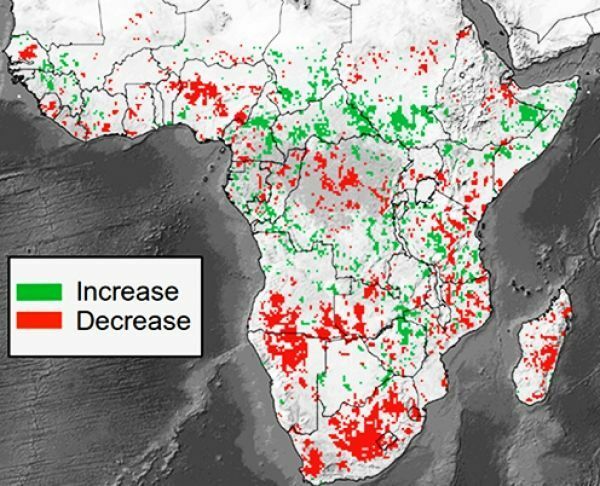 The satellite made it possible to produce a detailed map of the carbon balance across the whole of Africa.